Have you ever stopped in your tracks, whatever way you were going, and just turned in the complete opposite direction? Well, there’s a small forest next to my house that I often look into when going past on dog walks. I usually just look at it then walk by. However, when walking past it today, I had the sudden urge to explore it, and take a detour from my usual route. I had no idea where I was going, but continued towards it nonetheless. 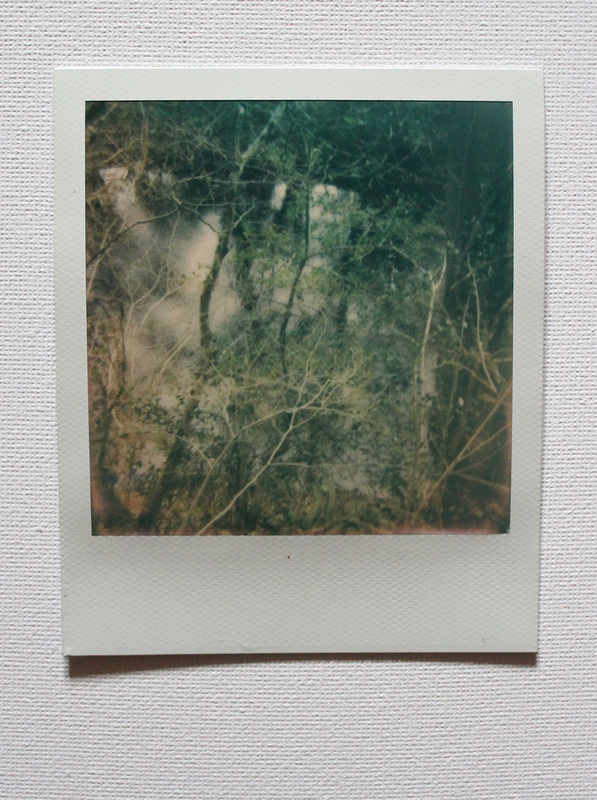 With my polaroid in hand, I already knew I wanted to take some images of nature. Originally, I planned to photograph the nearby streams, however I was so captivated by this forest that I decided to begin by photographing it. 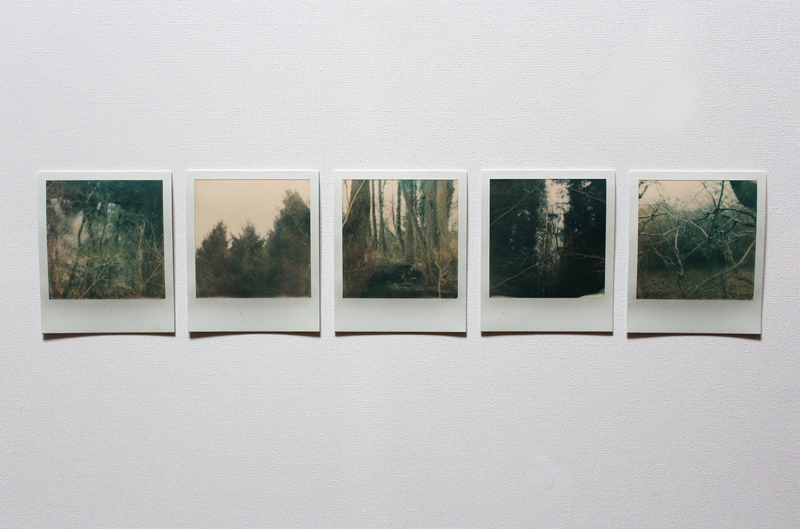 Lost and directionless, I began to weave through the low branches of the trees, walking aimlessly. In such an empty space, the only noises nearby were of pigeons nesting. The space was calming, peaceful, and beautiful for photographs. 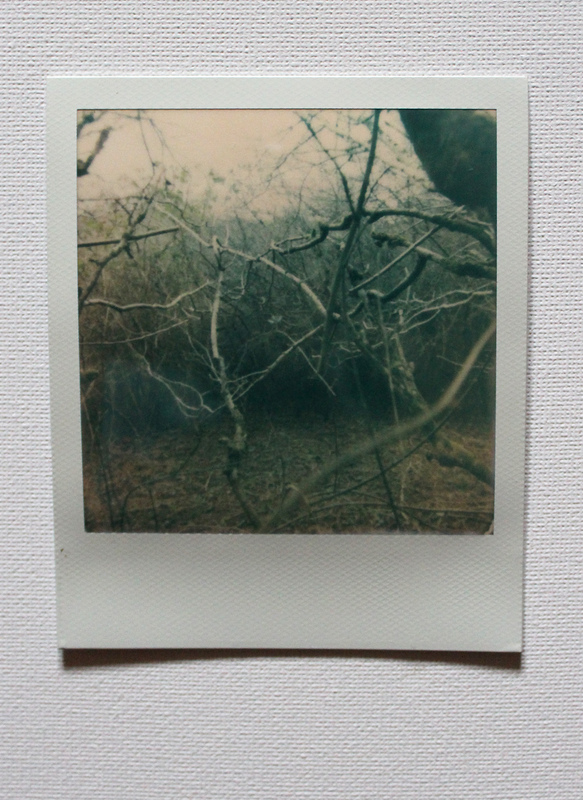 The trees reflected the mysterious appeal of the forest, and with the smoky quality of the polaroid camera, the spookiness of the area was translated perfectly into my images. As I wondered through the greenery, I felt totally free. Clueless about where I was or where I was going, I was alone and completely engulfed by the forest. I felt boundless, limitless and connected to the space. I didn’t feel scared, I felt inspired and creative. However, after strolling, running and exploring, I did eventually find myself back on a familiar route! Then returning to walk on the path I knew, I continued photographing the rest of my walk. 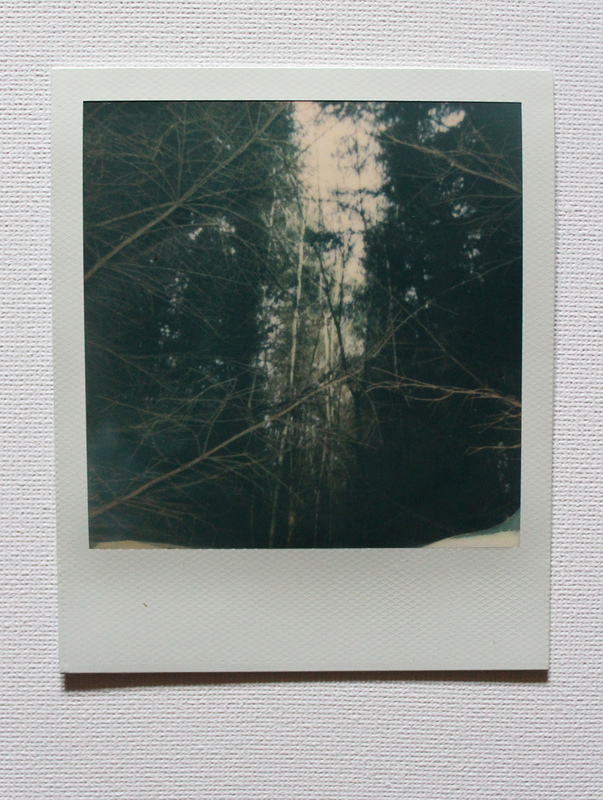 The inspiration I gained from my time in the forest allowed me to take more creative images of my other surroundings. 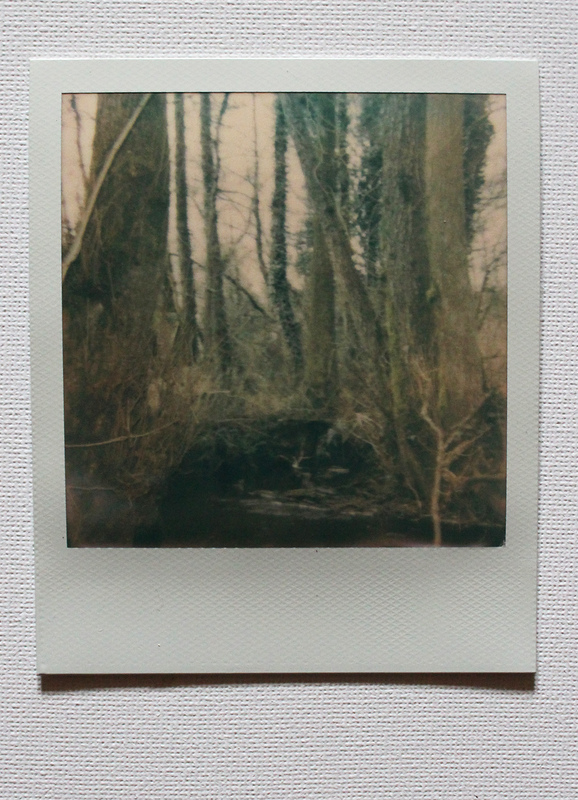 I took several images on my walk, but narrowed it down to five polaroids to share with you on here. I hope you enjoy this collection of images, and that it inspires you to take more time outside, exploring nature. Let me know what you think of the images, as I would love to hear! 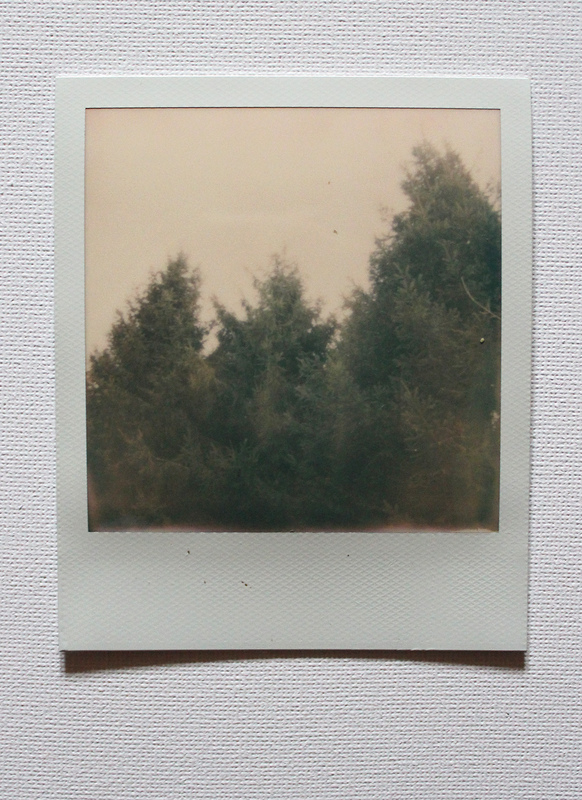 Photos were taken with my Polaroid 600 Extreme & Impossible Project 600 Colour Film. Wow! Just one more superb example of Harriet’s amazing eye for natural beauty. Love them! Thank you Tom, I’m so glad you like them! Love the story and the photos, Harriet. I live inside a forest and I enjoy my dog walks for all the same reasons. Nature just has a way to transport you places… It’s wild beauty, chaotic order, and incredible shades and textures will never cease to amaze me. Thank you so much, Audrey, I’m really glad you liked my story :). Nothing beats the calm of the forest and the natural, untouched beauty within it. I think it’s so important to spend time in nature, it’s so amazing for the soul, and somehow we can so easily manage to forget about it and become disconnected!